Minister Navdeep Bains' response: "true affordability can only come from true competition"
Canada’s telecom regulator effectively closed the door on Wi-Fi-based wireless resellers yesterday. 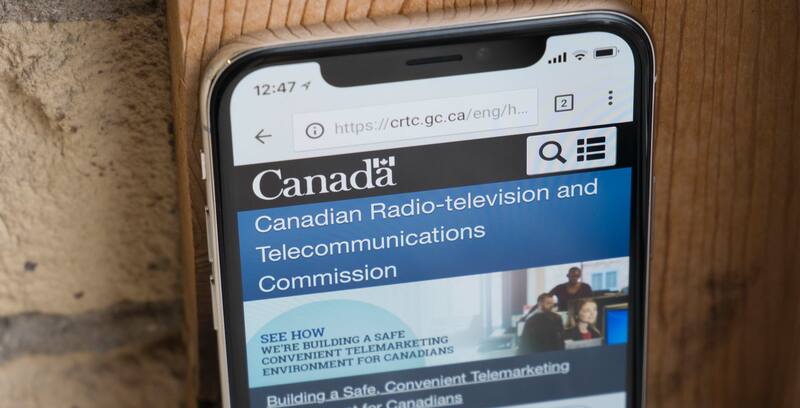 In a March 22nd, 2018 decision, the Canadian Radio-television and Telecommunications Commission (CRTC) stood by its original stance on the subject, despite being instructed by the government to reconsider its 2017 determination. In the first major decision under new chairman Ian Scott, the CRTC decided that Wi-Fi-first MVNOs — wireless resellers that don’t have physical infrastructure and use Wi-Fi as a home network — could not allow users to ‘roam’ permanently on wholesale data purchased from carriers that do have physical infrastructure. The decision came as a disappointment for would-be MVNOs like Sugar Mobile, which served as the impetus for the discussion of Wi-Fi-first MVNOs in Canada after the carrier found a back-door route to providing such wireless services that was disallowed in 2017. “For Sugar Mobile it’s a blow, for any other MVNO it’s a blow, for Canadian consumers it’s a blow,” said Sugar Mobile CEO Samer Bishay in a phone interview with MobileSyrup. Meanwhile, Lawry Trevor-Deutsch, chairman and president of TNW Wireless, said he understood the regulatory dilemma the Commission faces, but is encouraged by minister Bain’s statement that the most-recent CRTC decision doesn’t go far enough in encouraging competition. “We agree with the CRTC that you should have facilities, but we still feel there’s room for alternate technology,” Trevor-Deutsch told MobileSyrup. TNW filed an application with the CRTC last July to compel Bell and Telus to provide the carrier with wholesale roaming agreements. While the CRTC’s March 22nd decision is frustrating for MVNOs, Bishay noted that it was positive for another of his businesses, Ice Wireless, which owns infrastructure and is thus considered a ‘facilities-based’ carrier. The CRTC rewarded smaller wireless entrants who have invested in facilities by announcing that the final rates for wholesale roaming services are between 44 percent and 99 percent lower than the interim rates that have been in place since 2015. Plus, the new mandated roaming rates are retroactive to May 2015, meaning that smaller players who already hold roaming agreements with Bell, Telus and Rogers can expect a hefty refund in the mail. Ultimately, Bishay believes MVNOs are inevitable, but that it will take longer than he initially expected. Backing up Bishay’s assessment, the CRTC noted that it might reconsider the prospect of mandating MVNOs through the review of its 2015 regulatory framework for wholesale mobile wireless services if the amount of resale competition remains limited after five years. Of course, there’s no guarantee that Canadians will see a government mandate for MVNOs in 2020, or beyond. Instead, the CRTC introduced something quite different that it hopes will satisfy consumer needs for lower wireless pricing in the short-term. Recognizing the Canadian wireless industry’s lack of inexpensive, data-heavy wireless options, the CRTC has announced that it will mandate low-cost, data-only plans. The Commission is asking major national carriers Bell, Rogers and Telus to submit proposals for low-cost plans that carry significantly more data than many existing low-end options, while also providing 4G and LTE service. Additionally, the CRTC is requesting that the plans be available in both prepaid and postpaid formats, and not be limited to low-income households. John Lawford, executive director and general counsel of the Public Interest Advocacy Centre (PIAC), said that he’s “cautiously optimistic” about the CRTC’s plan. “I don’t believe there was a reasonable prospect of the MVNO rule being changed in the way [ISED] wanted it changed,” he told MobileSyrup in a phone interview, adding that the low-cost data plans might be the best way to get more low-end data plan options into the market in the short term. Of course, much comes down to the cooperation of carriers. While most major carriers were opposed to the CRTC mandating low-cost, data-only plans, arguing that there are already plenty of data-only options available, it seems like the Big Three are generally pleased by the CRTC’s decision. Among the smaller, regional carriers, Eastlink commended the decision for placing value on investment in infrastructure and Freedom Mobile declined to comment. Meanwhile, Videotron stated it was still reviewing the decision and SaskTel noted that it “already offers low cost data only plans starting at $15/month” but is interested to see what comes out of the public consultation. The decision was also lauded by financial analysts. Scotiabank’s Jeff Fan wrote a report to investors titled A Sigh of Relief, noting that the bank’s view on the sector as a whole is unchanged following the CRTC announcements. Fan also noted that while Shaw-owned Freedom is the “beneficiary” of the lowered wholesale roaming rates, which may prompt it to “tweak its packages,” the rates aren’t low enough to cause Freedom to avoid expanding its own network coverage in less urban markets. Philip Huang of Barclays wrote in his report: “We are relieved that the regulator did not adopt this short-sighted method to stimulate pricing competition,” and remained committed to an approach that favours players with facilities, i.e. Rogers, Telus, Bell, Freedom, Videotron and Eastlink. There were some outspoken critics of the decision, however. “Even if Wi-Fi-based MVNOs had been allowed and the decision had been overturned, it’s still only half-way to what we need to provide more choice to Canadians and we didn’t even get that,” said Tribe, in a phone interview with MobileSyrup. Meanwhile, telecom expert Michael Geist, the Canada Research Chair in Internet and E-commerce Law at the University of Ottawa, wrote in an op-ed for the Globe and Mail that the decision sets an industry-friendly tone for Scott’s time as CRTC chair. It’s currently unclear how — or if — the government will respond to the CRTC’s refusal to overrule its 2017 Wi-Fi-first MVNO decision.